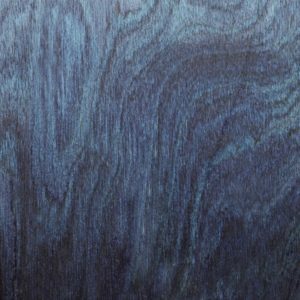 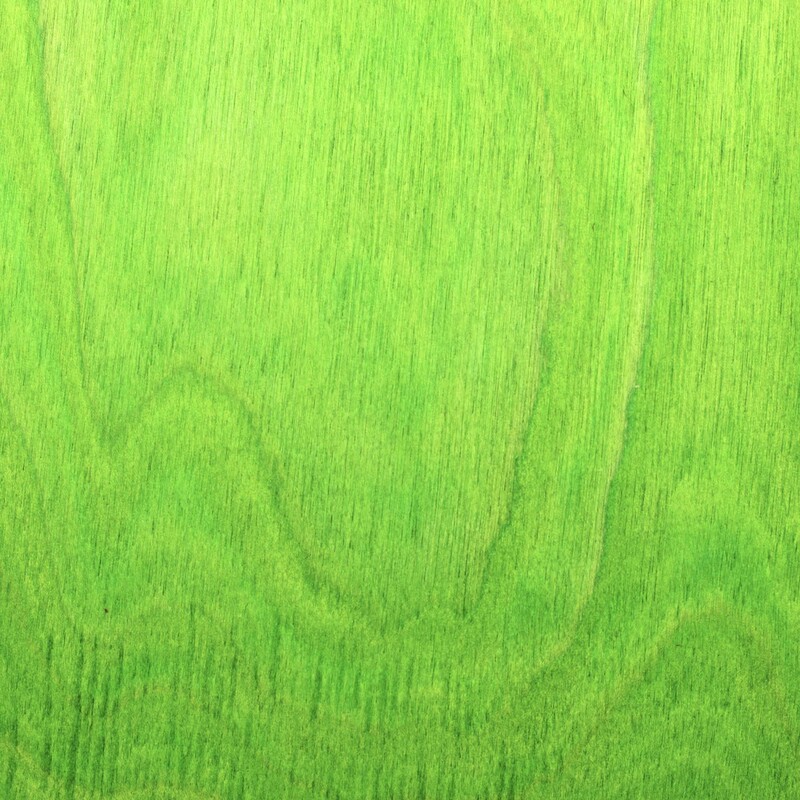 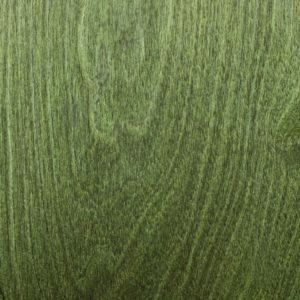 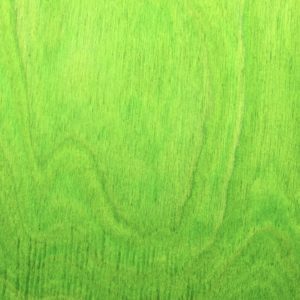 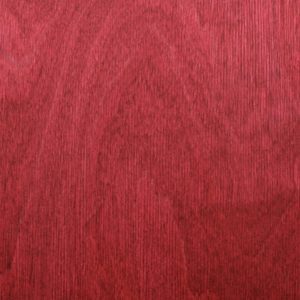 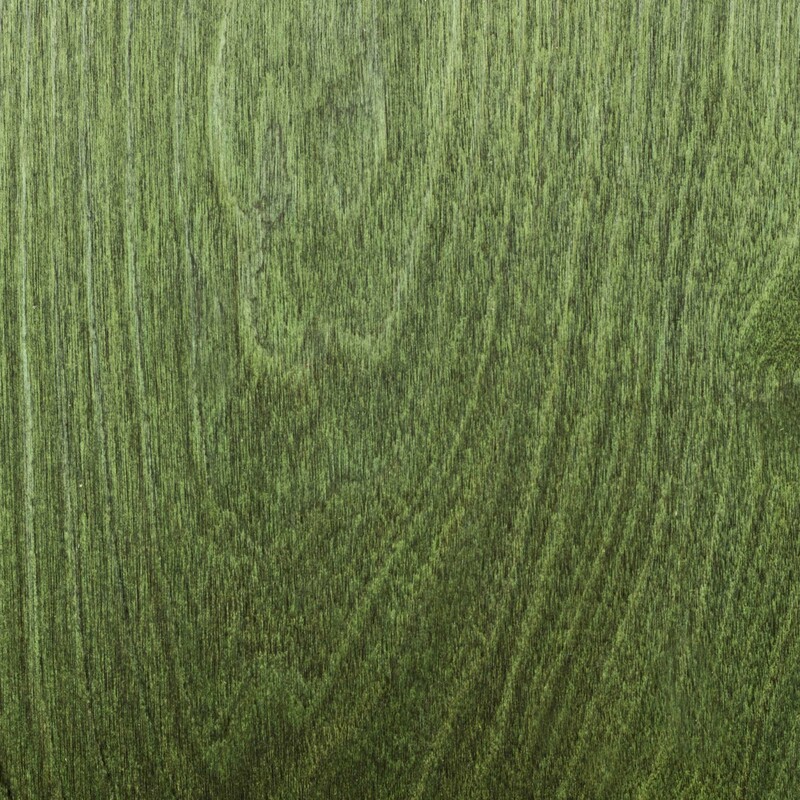 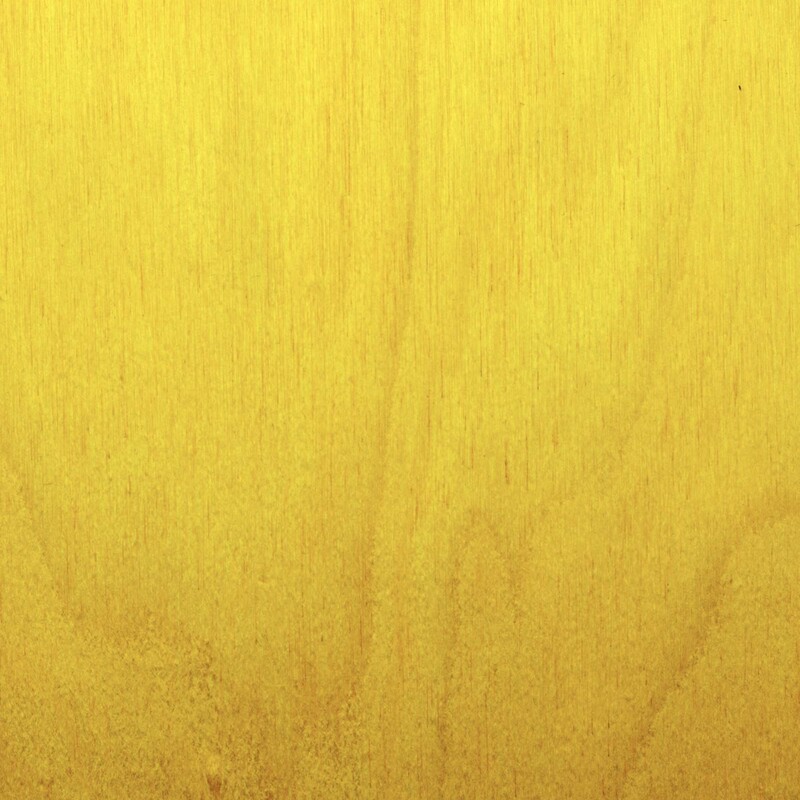 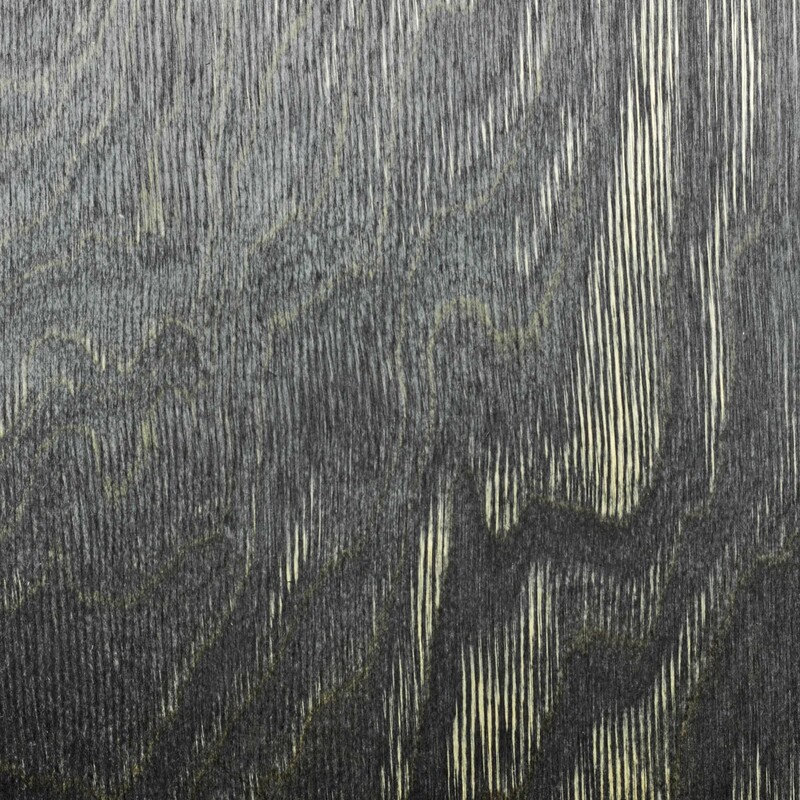 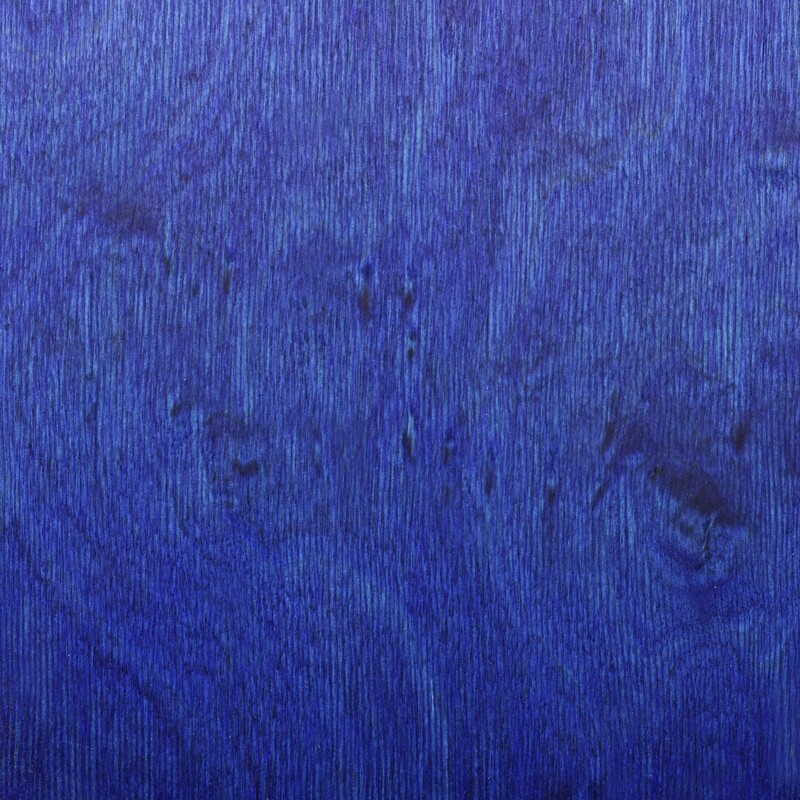 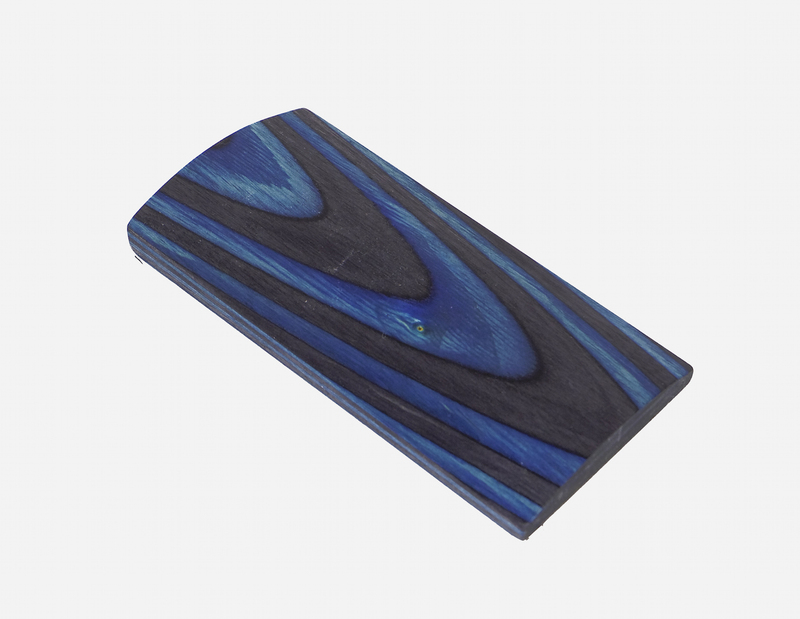 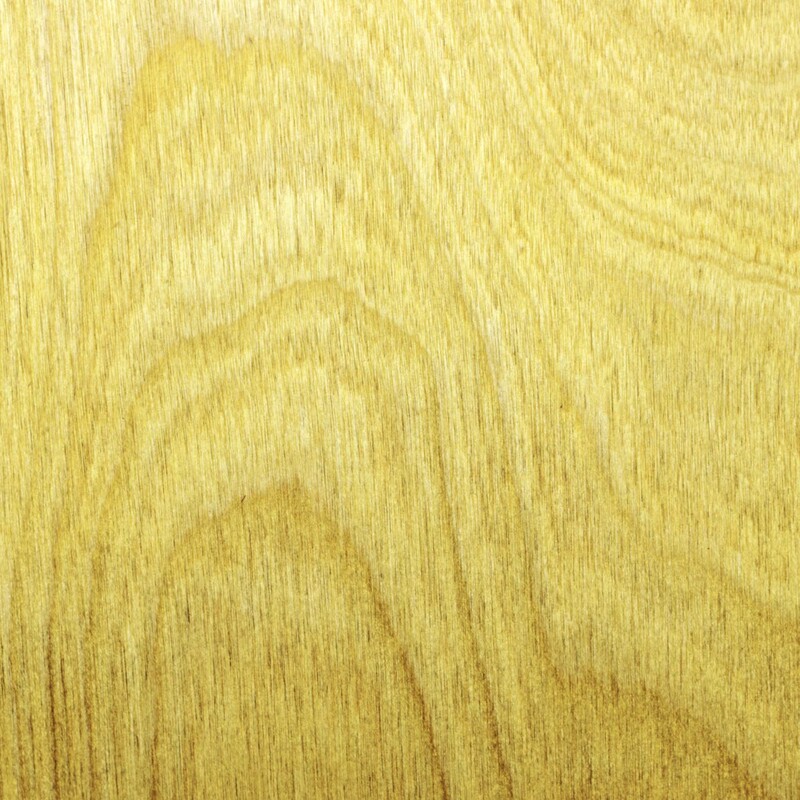 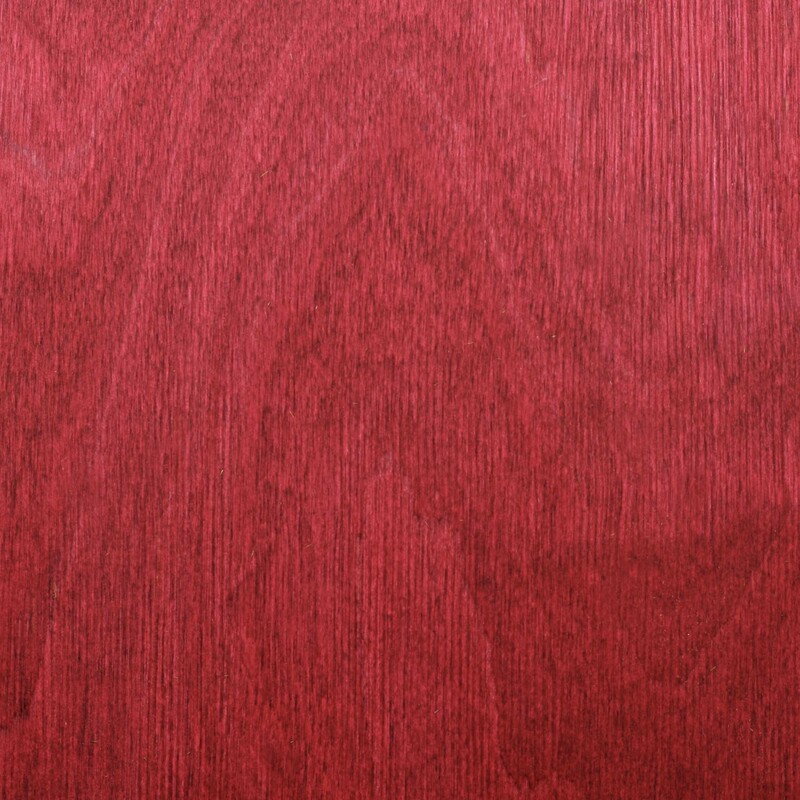 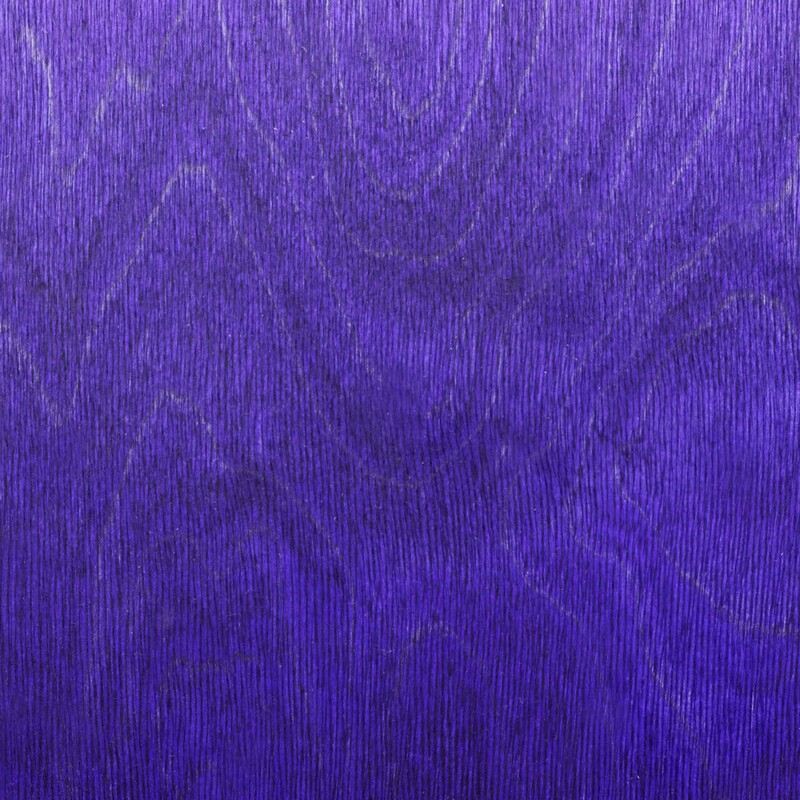 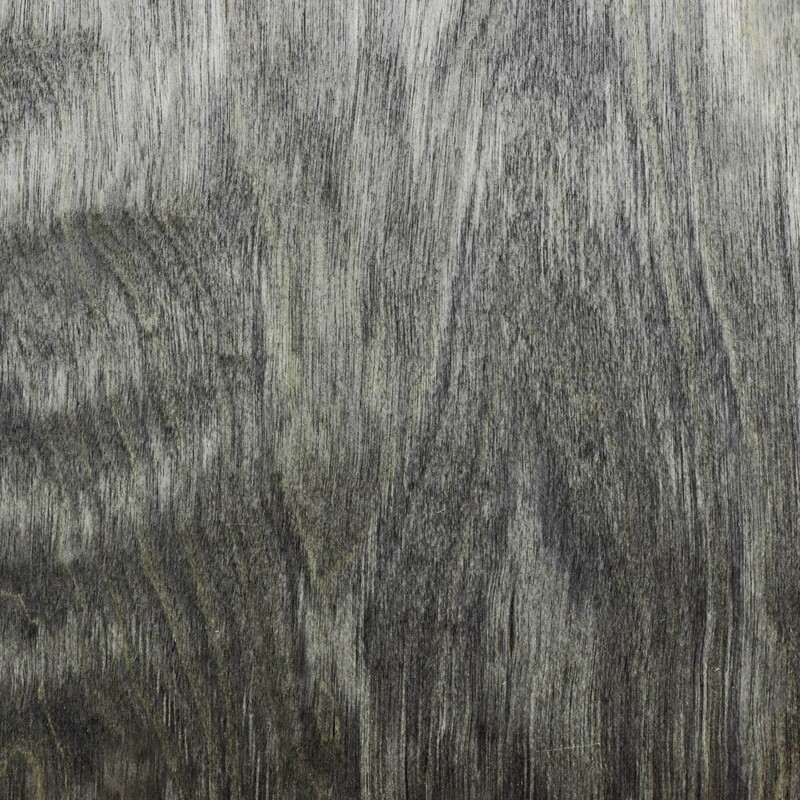 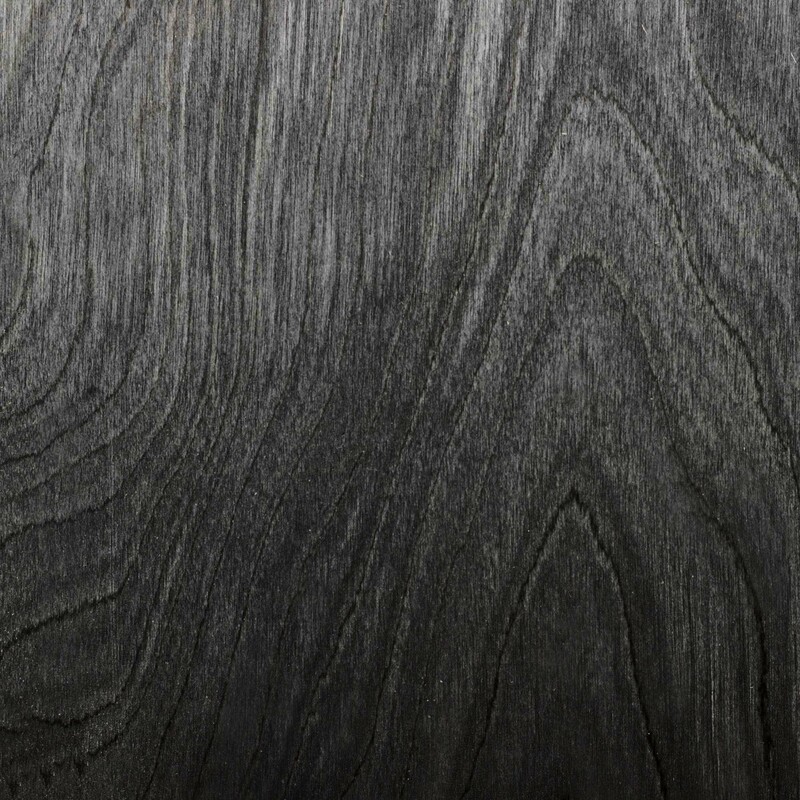 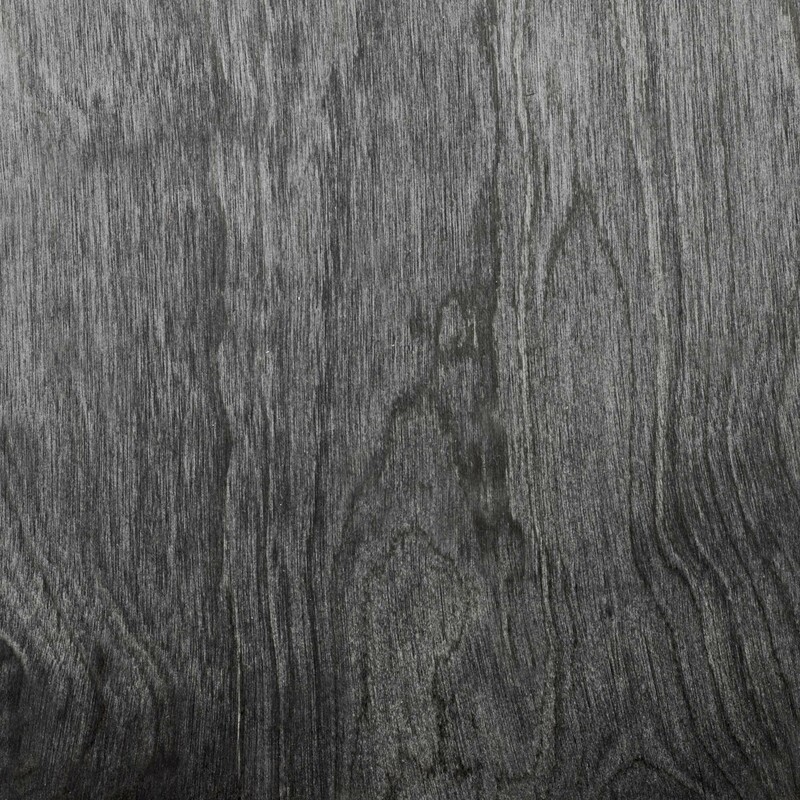 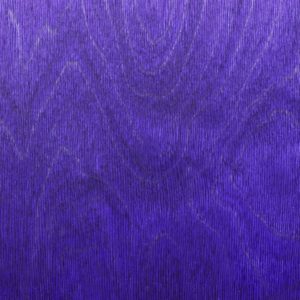 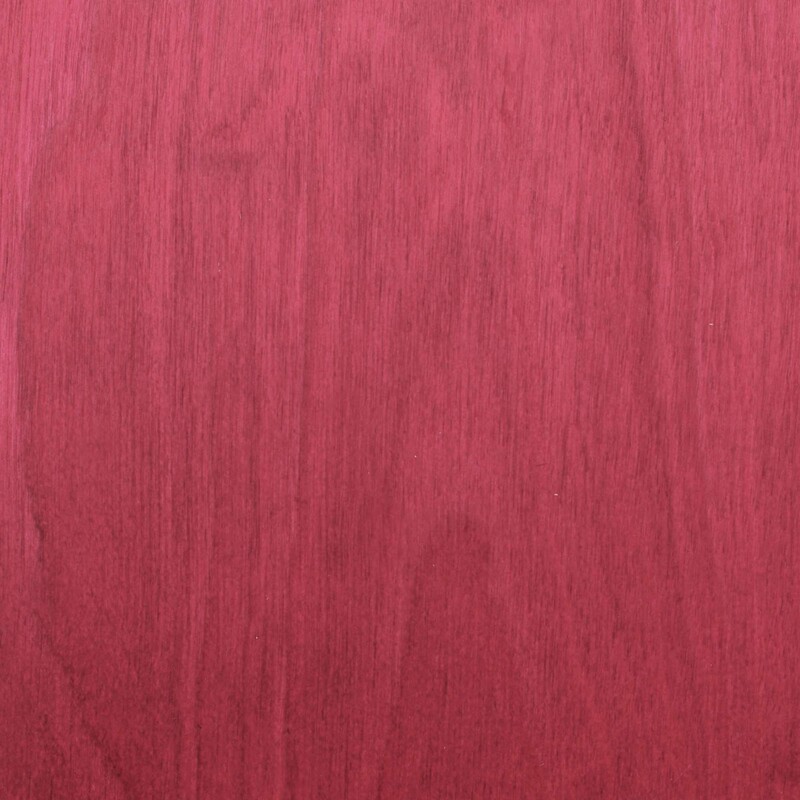 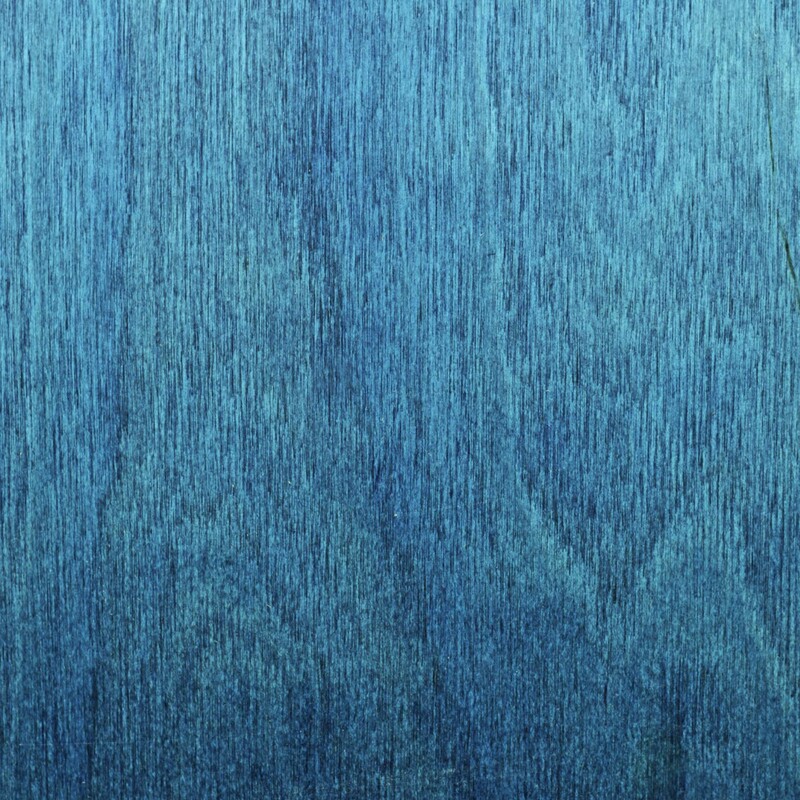 CWP produces dyed laminated blanks from birch. 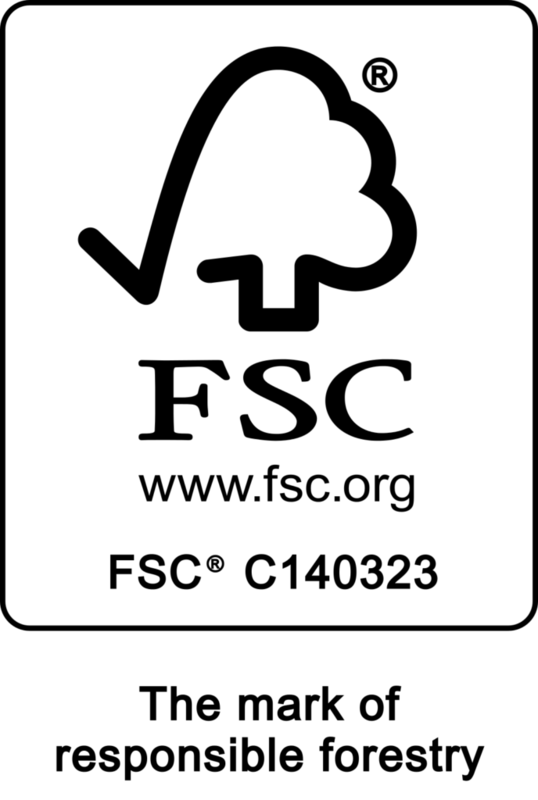 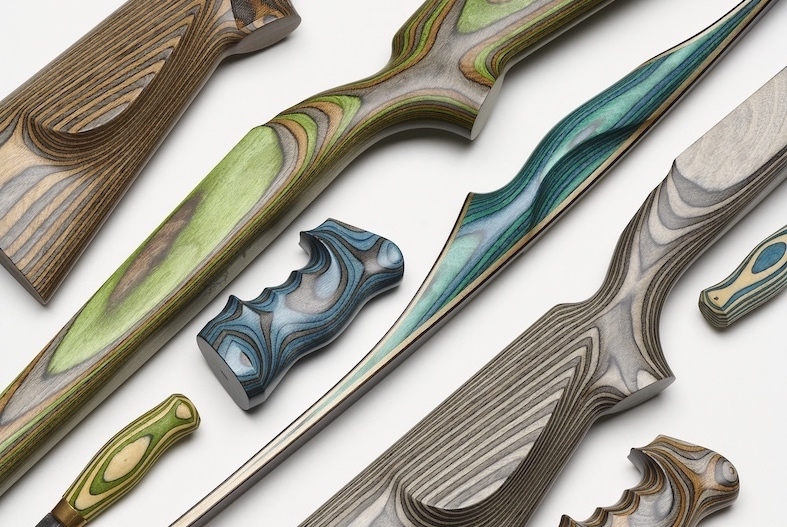 The laminated wood is a strong and ideal material for gun stocks. 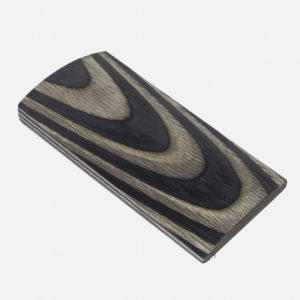 Gun stock laminates are our specialty. 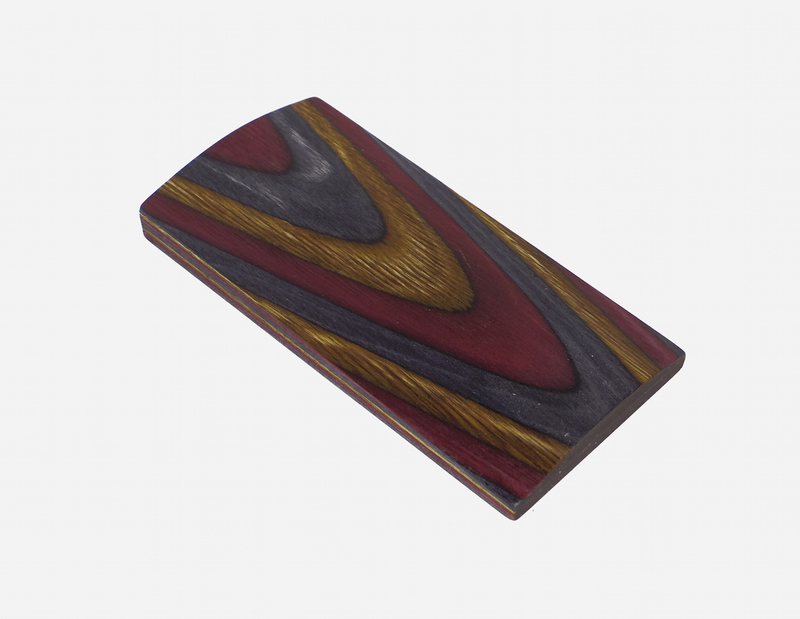 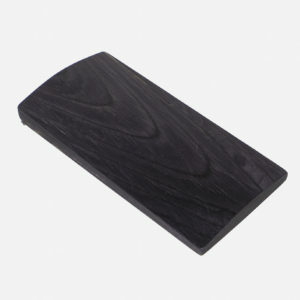 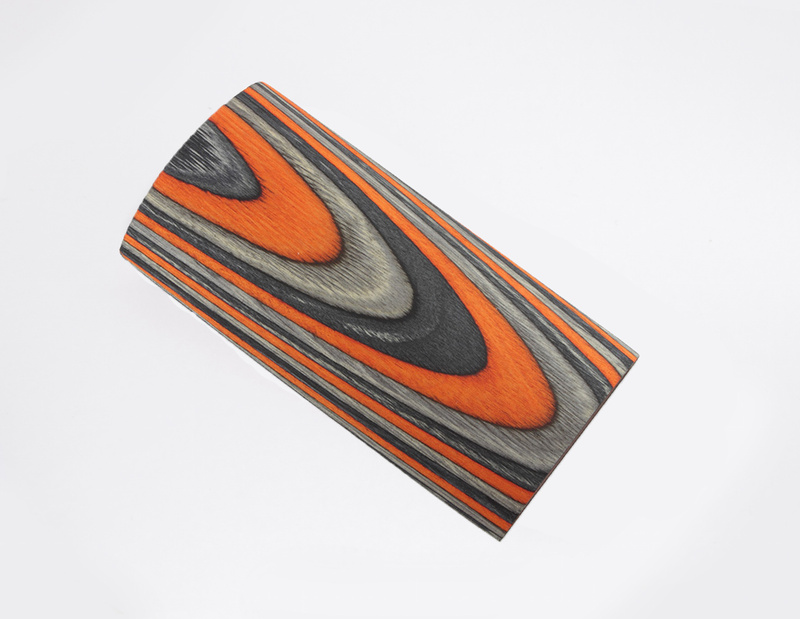 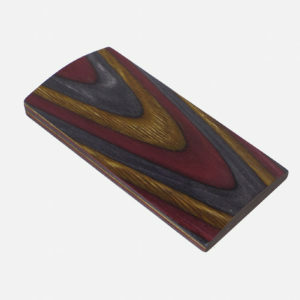 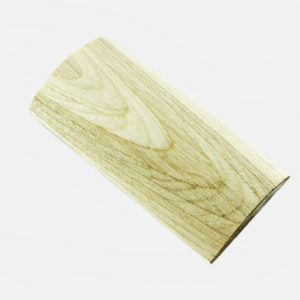 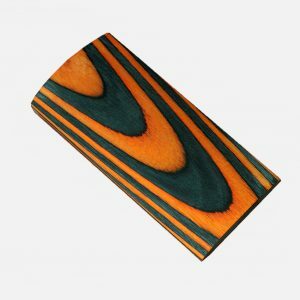 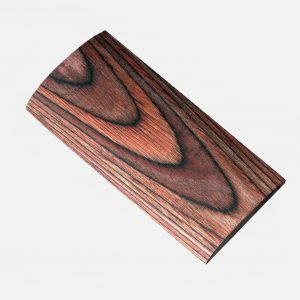 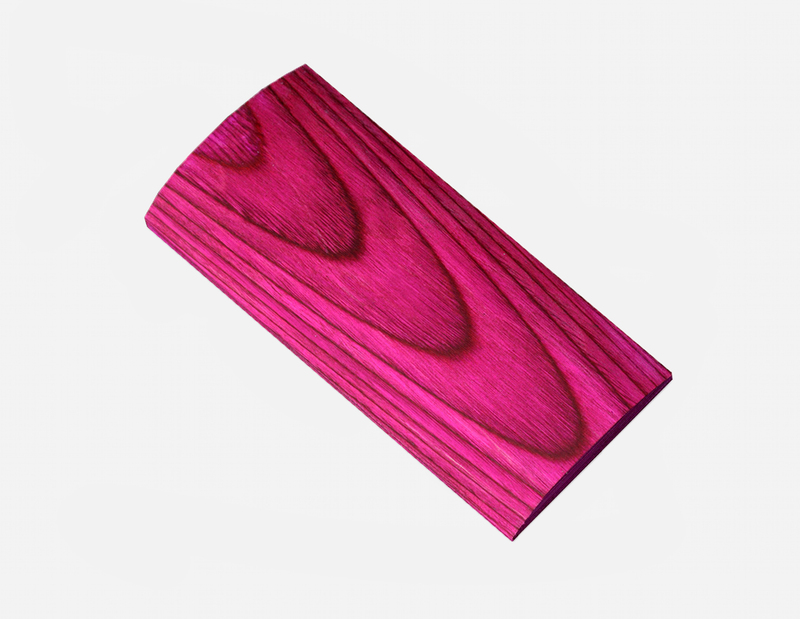 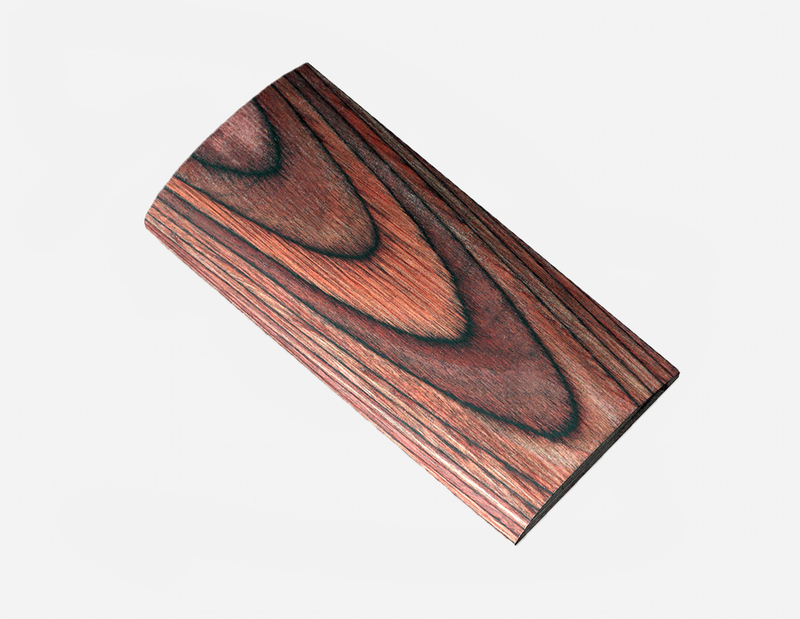 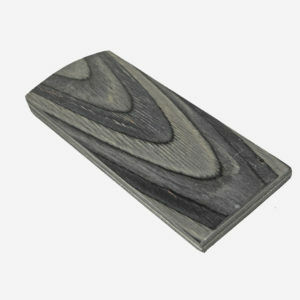 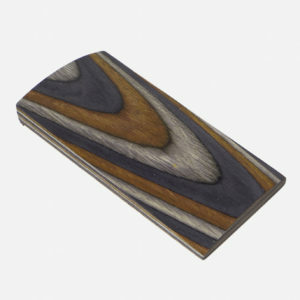 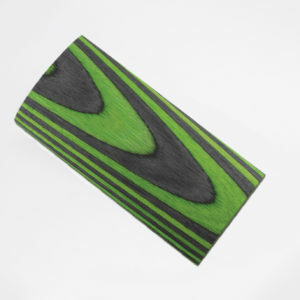 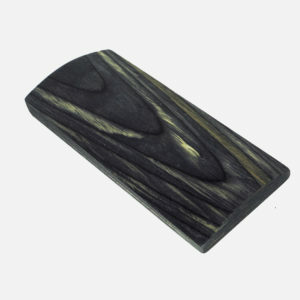 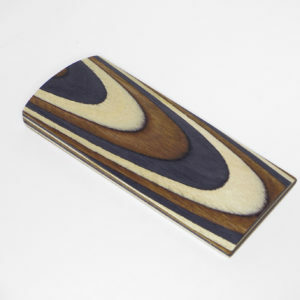 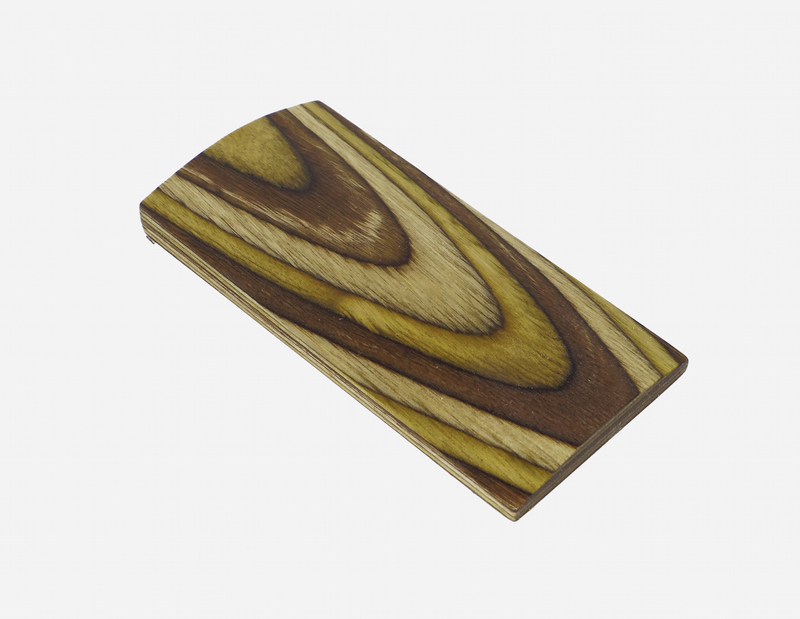 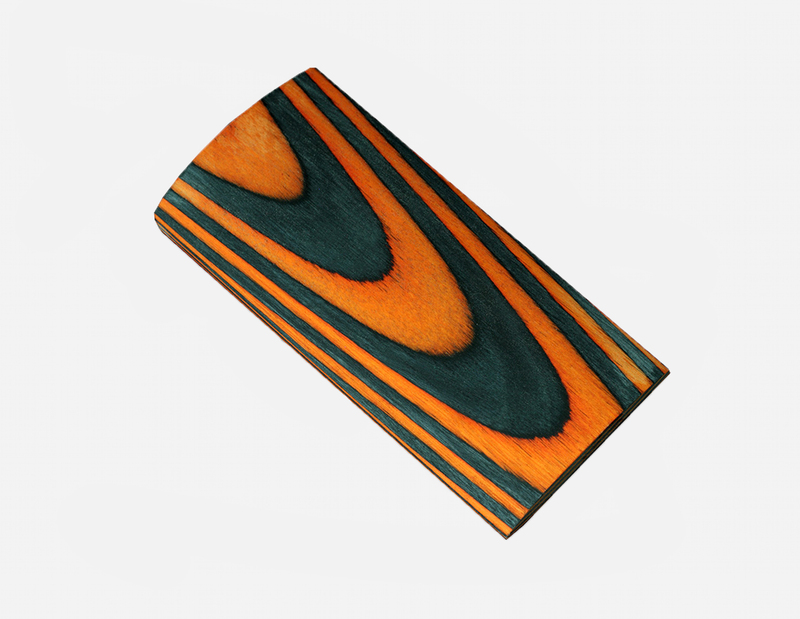 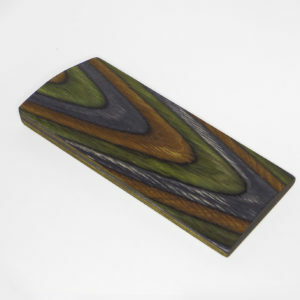 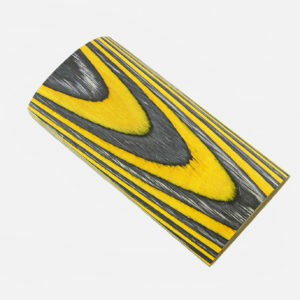 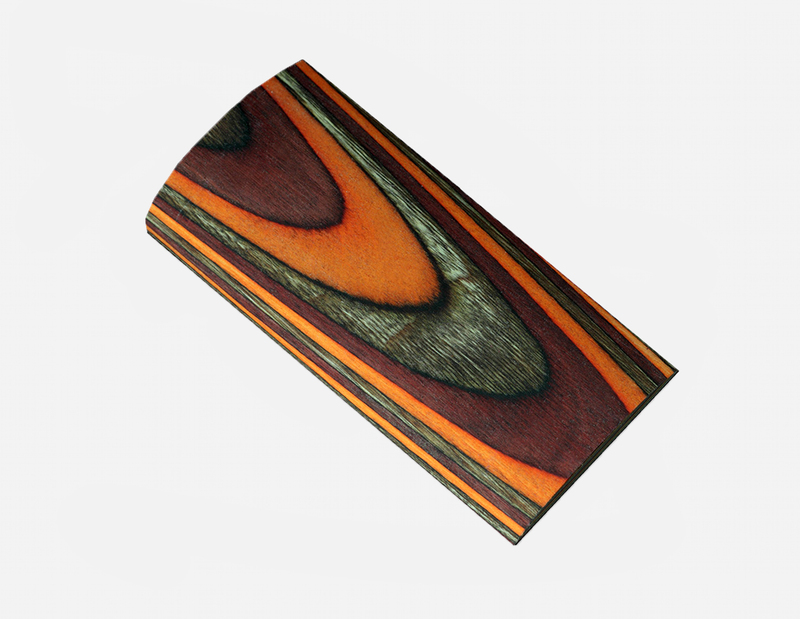 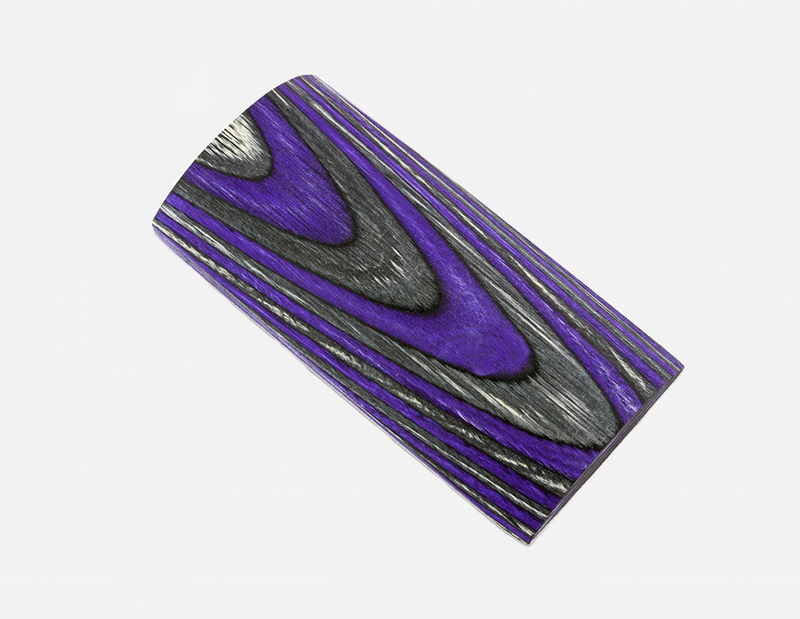 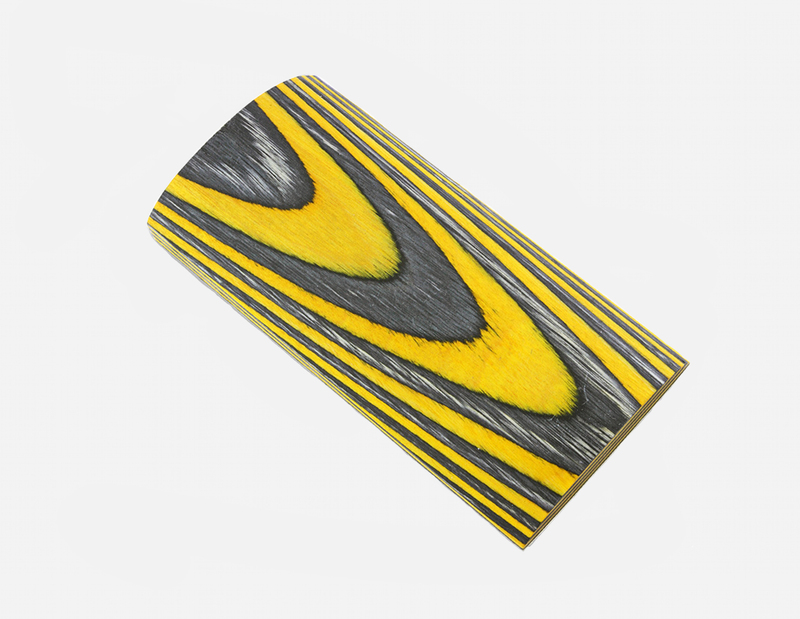 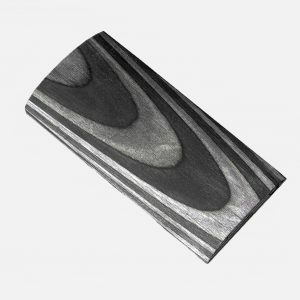 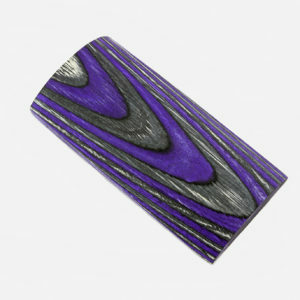 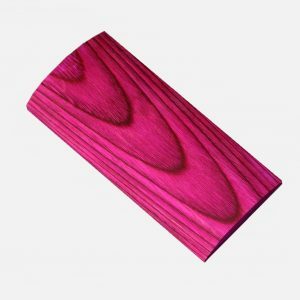 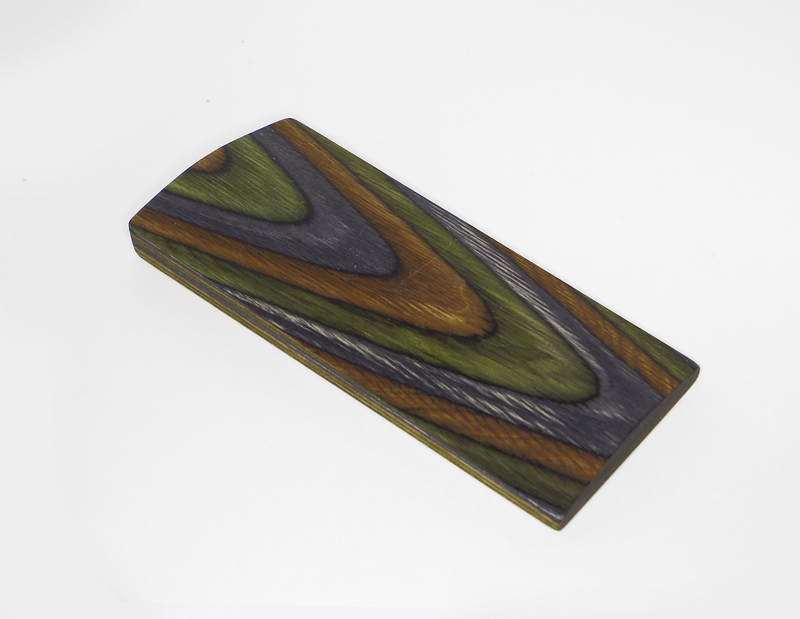 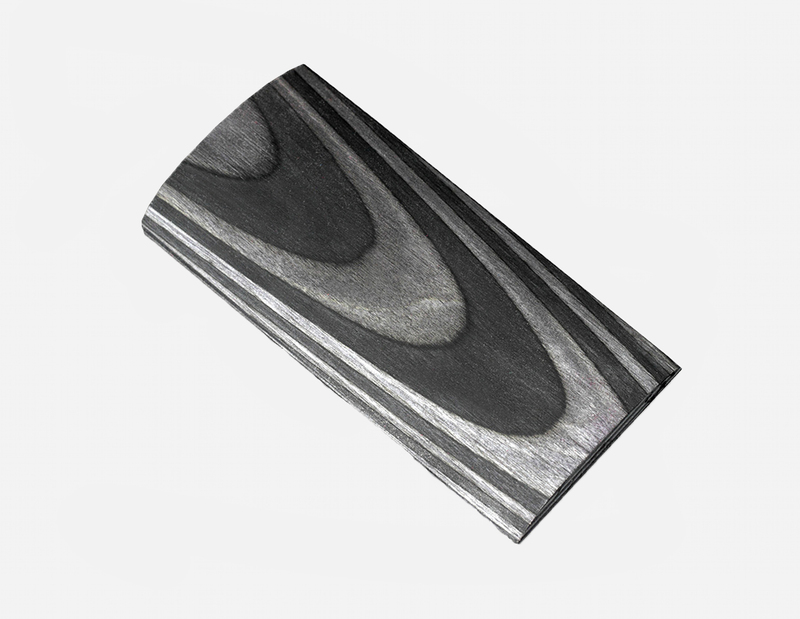 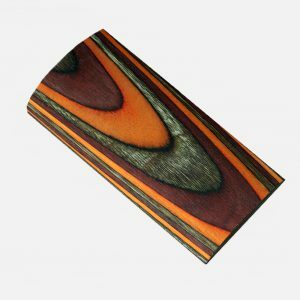 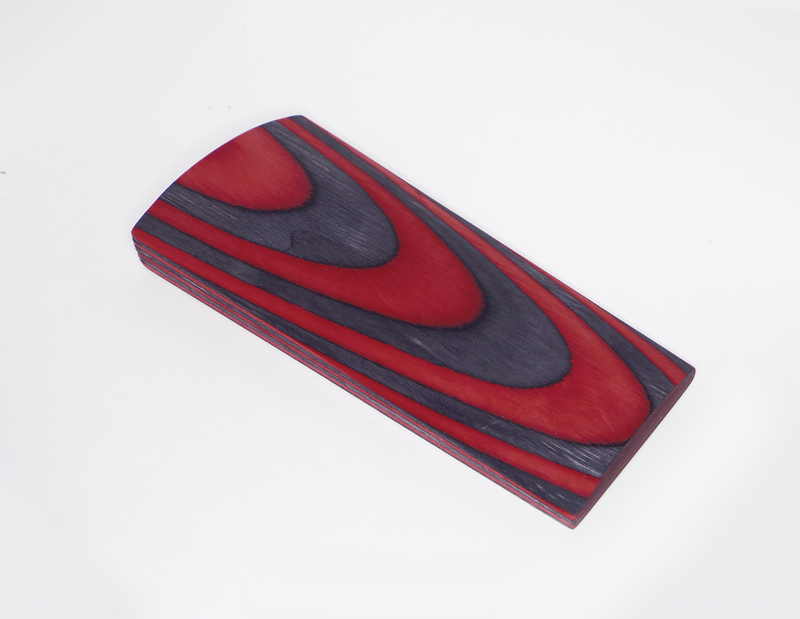 Laminated blanks can also be used for sports equipment like bow material, or knife handles and pen blanks etc. 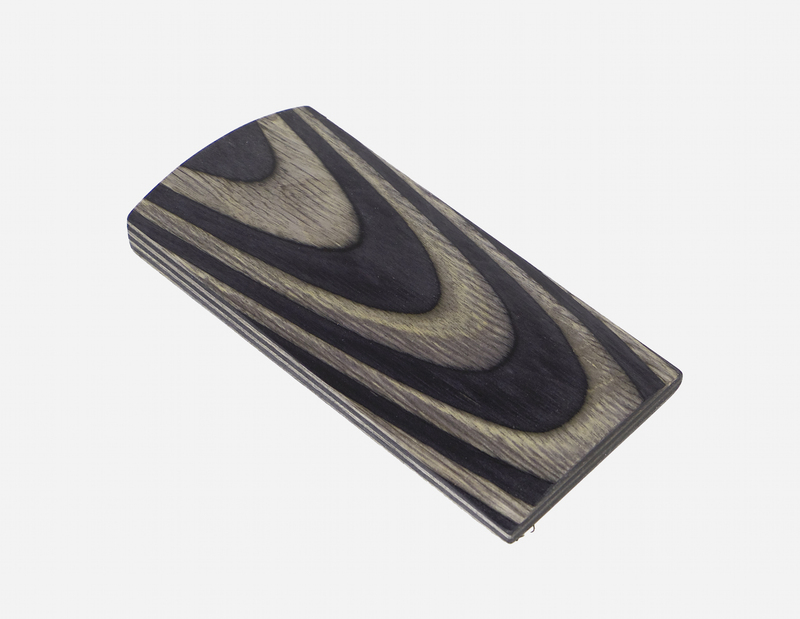 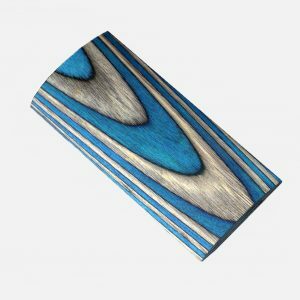 CWP’s laminated gun stock blanks are availabe in a wide range of standard colors and color combinations, but you can also make your own colour combinations to suit your needs. There are several colour options to choose from. 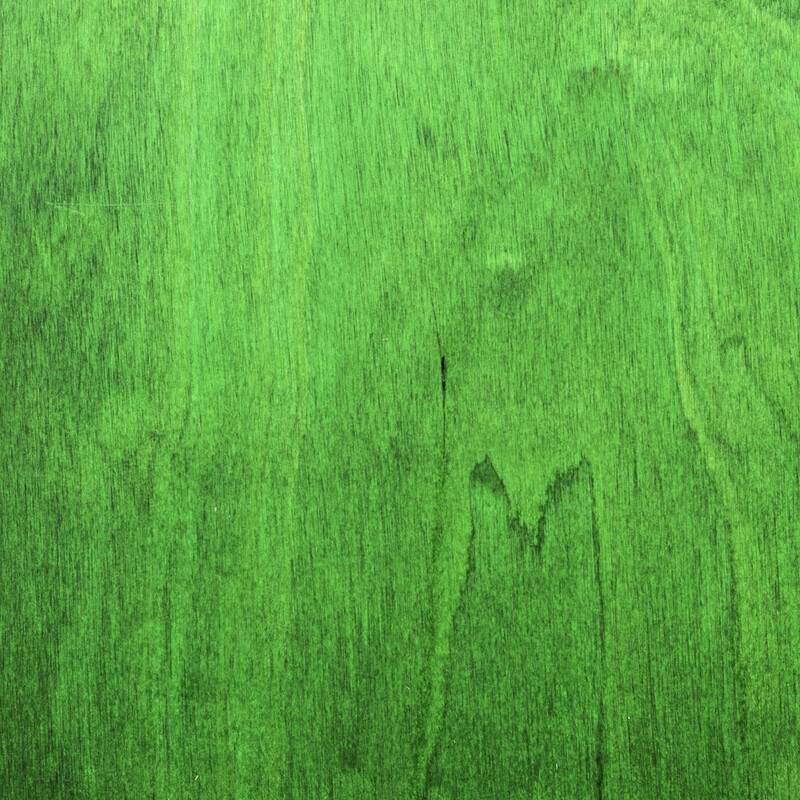 The colours can be found below. The standard size of a laminated blank is length 870 mm * width 270 mm * thickness 60 mm. The blanks can also be sawn to certain shapes or smaller sizes by request. 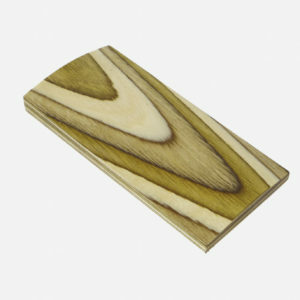 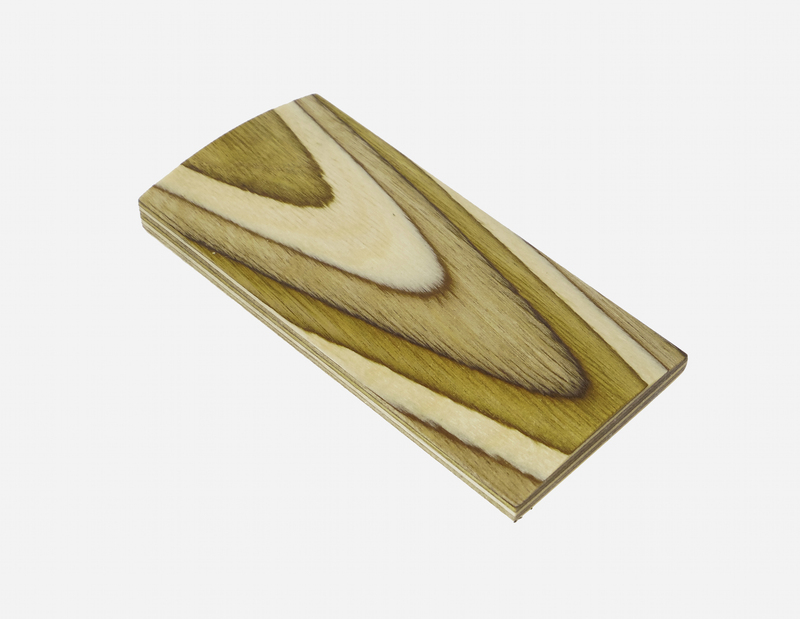 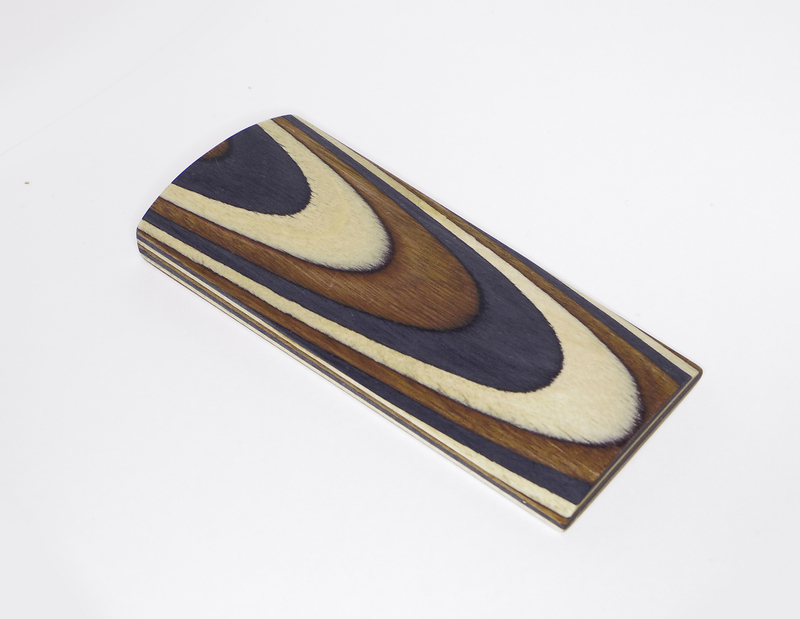 The laminated blanks are made from birch veneers, which guarantees a hard and durable result. 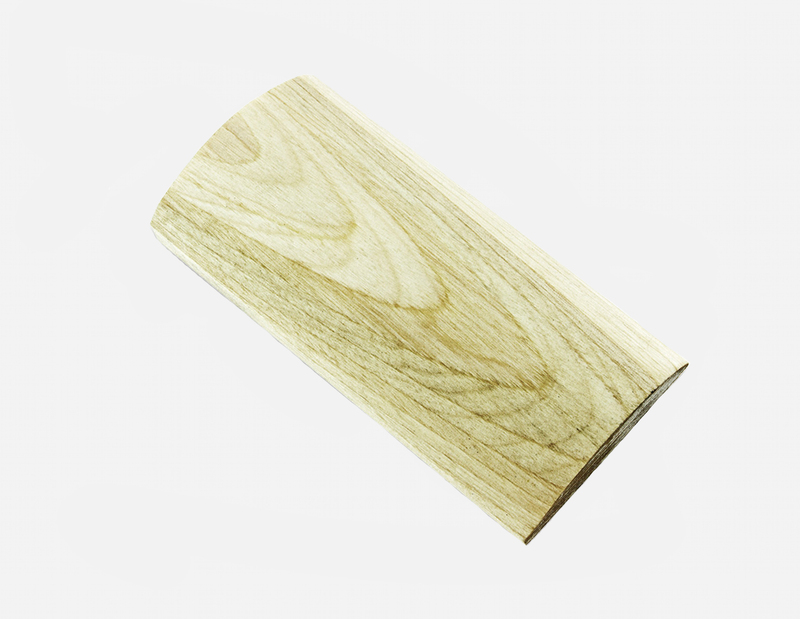 The CWP laminate structure is resistant to warping even under difficult circumstances. 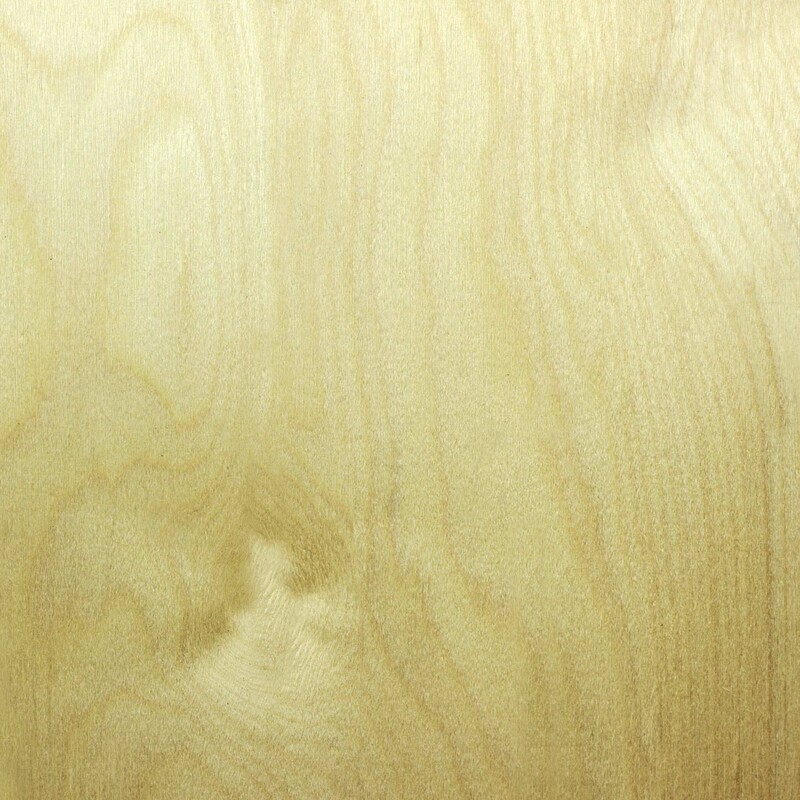 Well finished products are weather resistant. 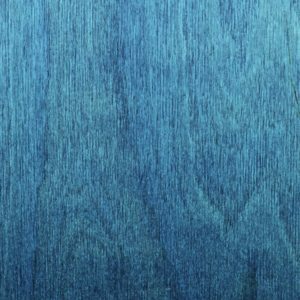 Thanks to through-dying, dents and scratches can easily be repaired with basic tools. 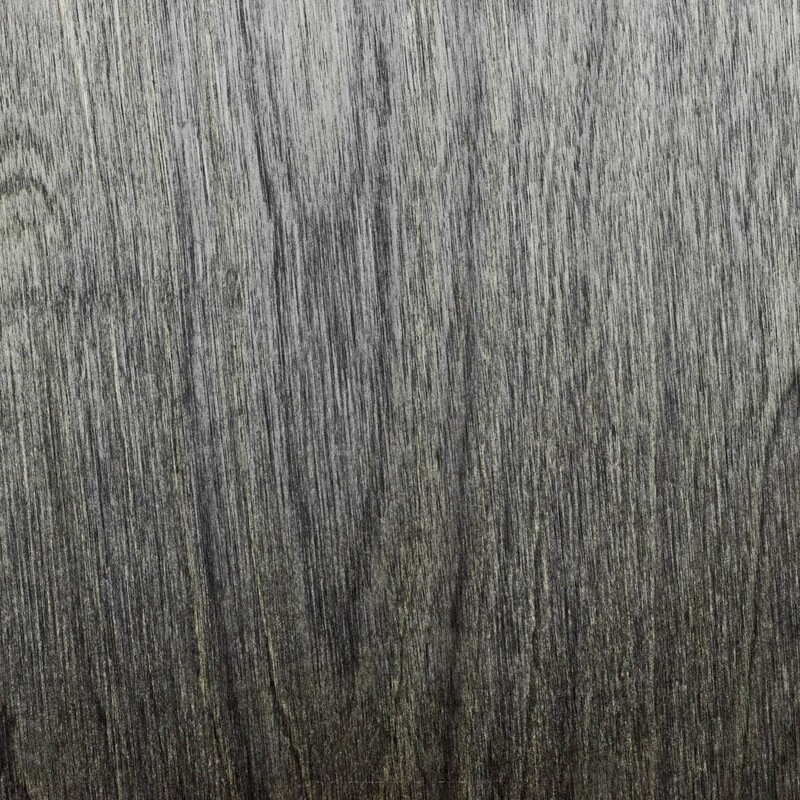 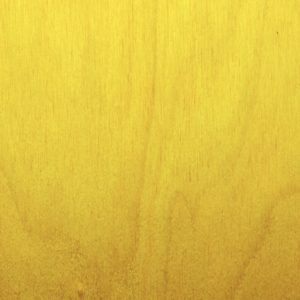 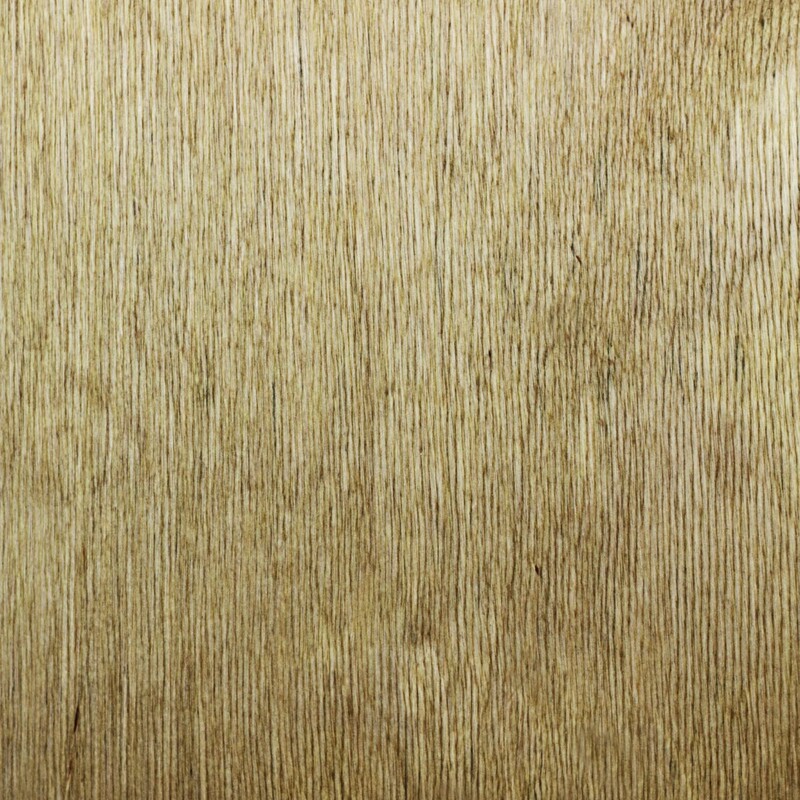 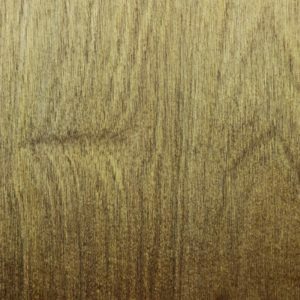 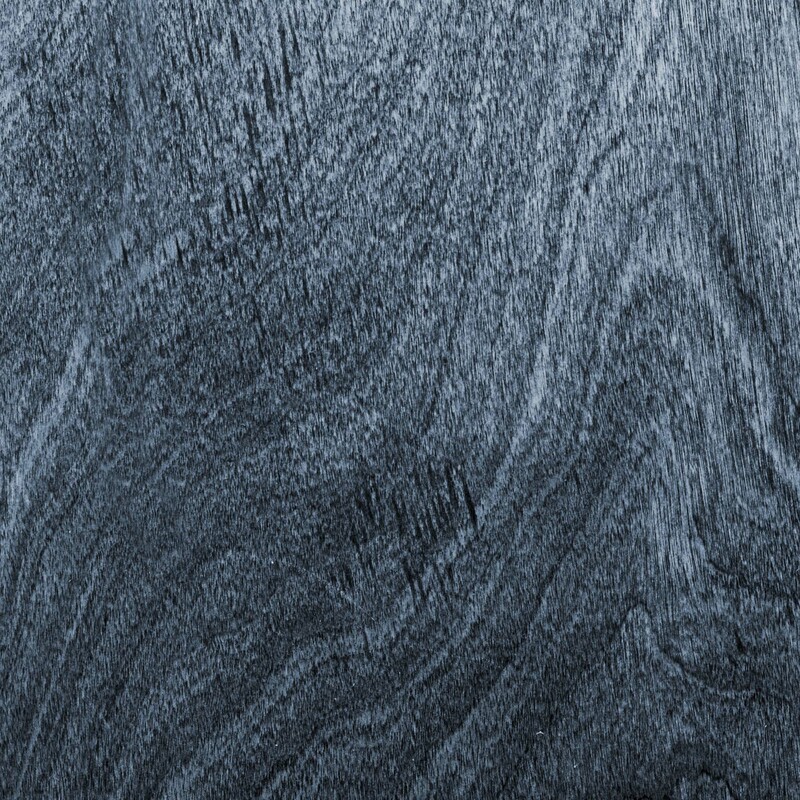 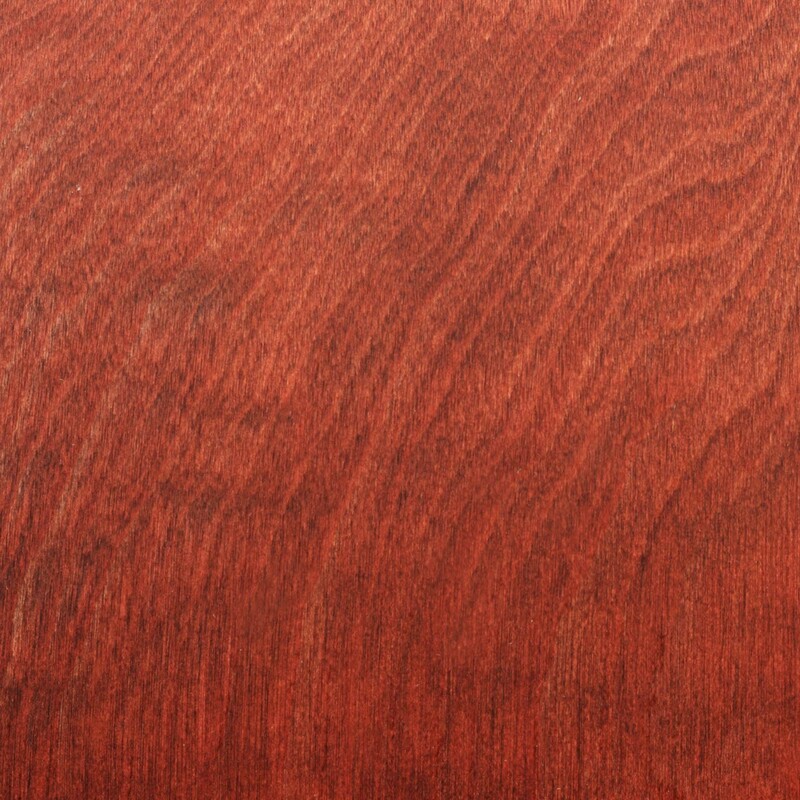 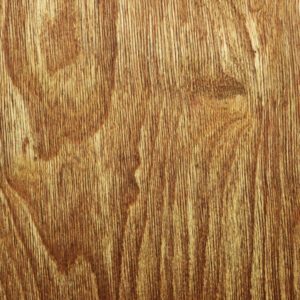 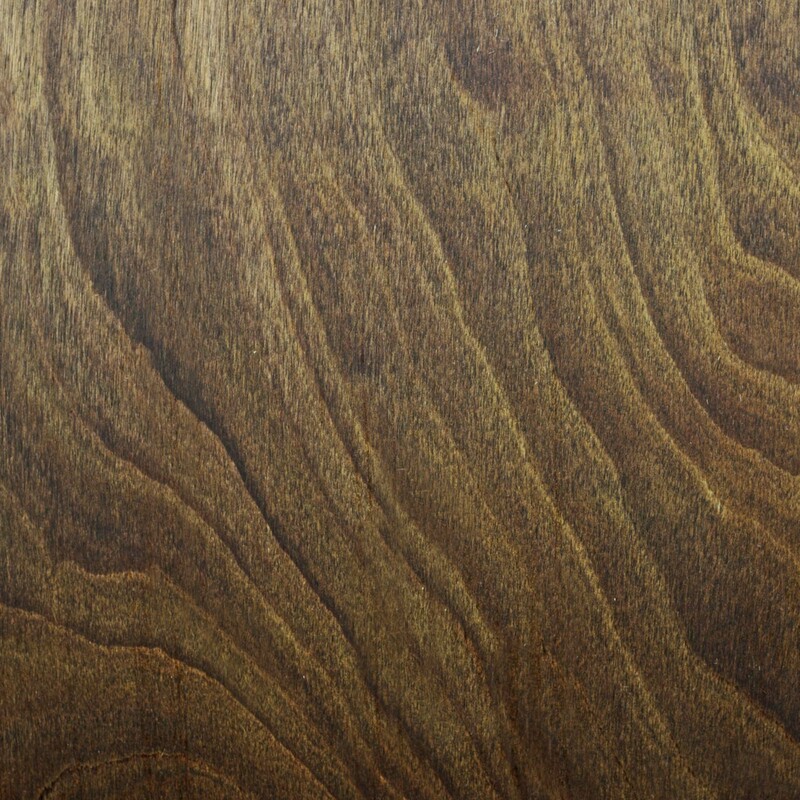 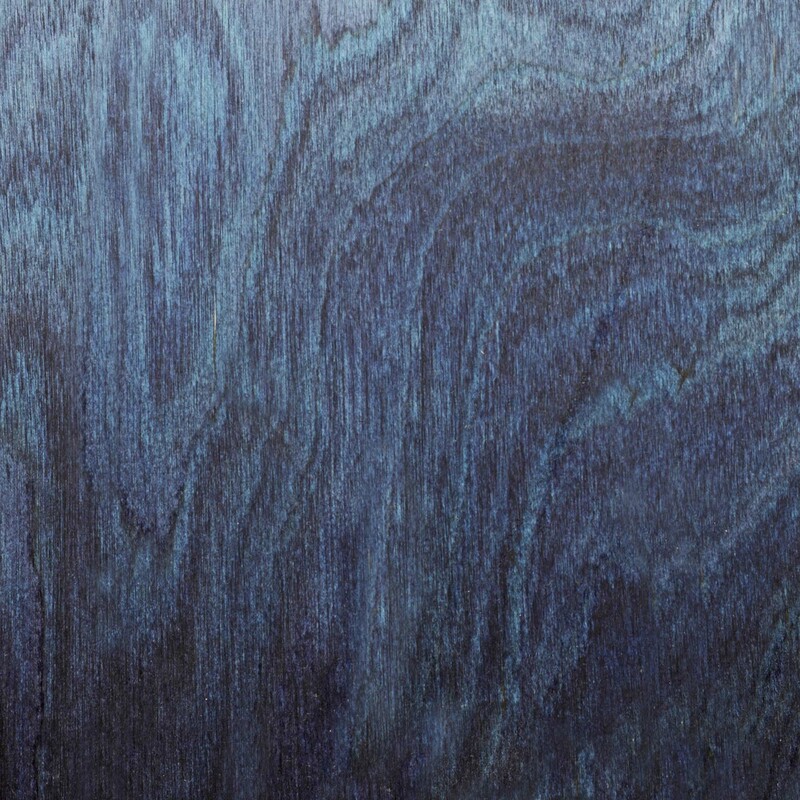 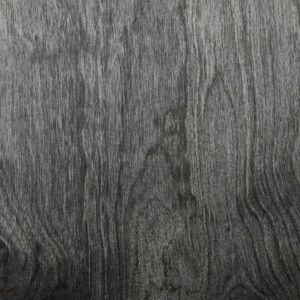 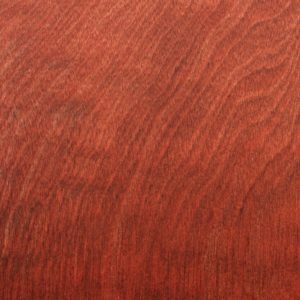 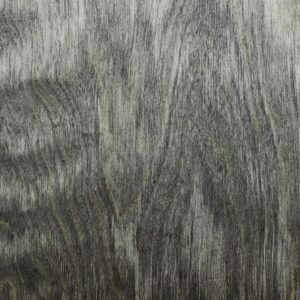 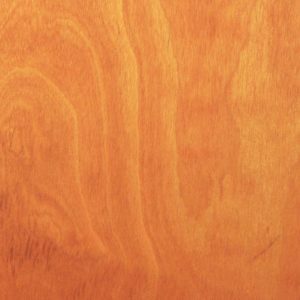 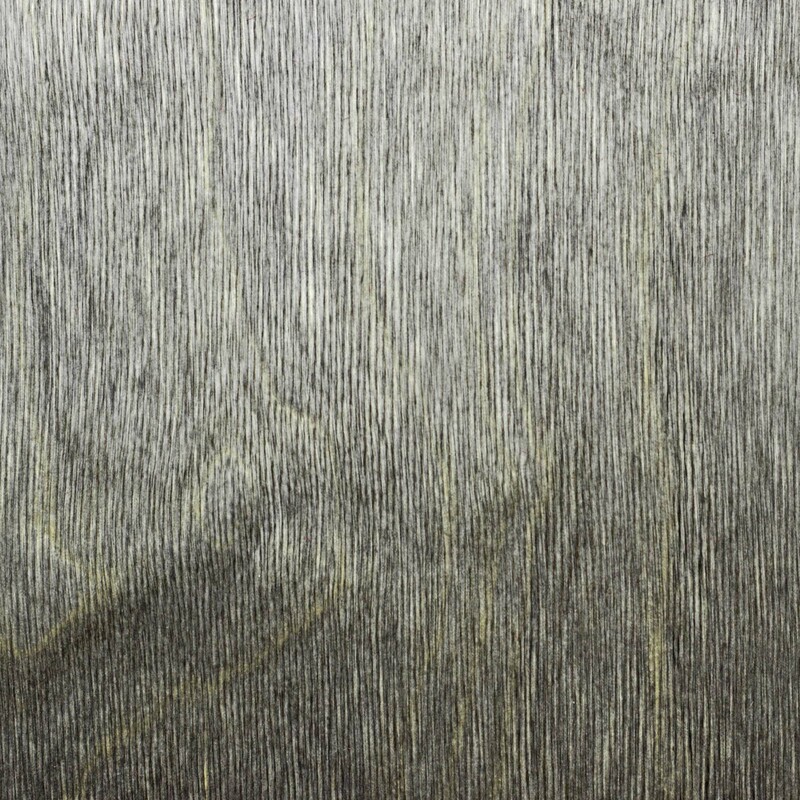 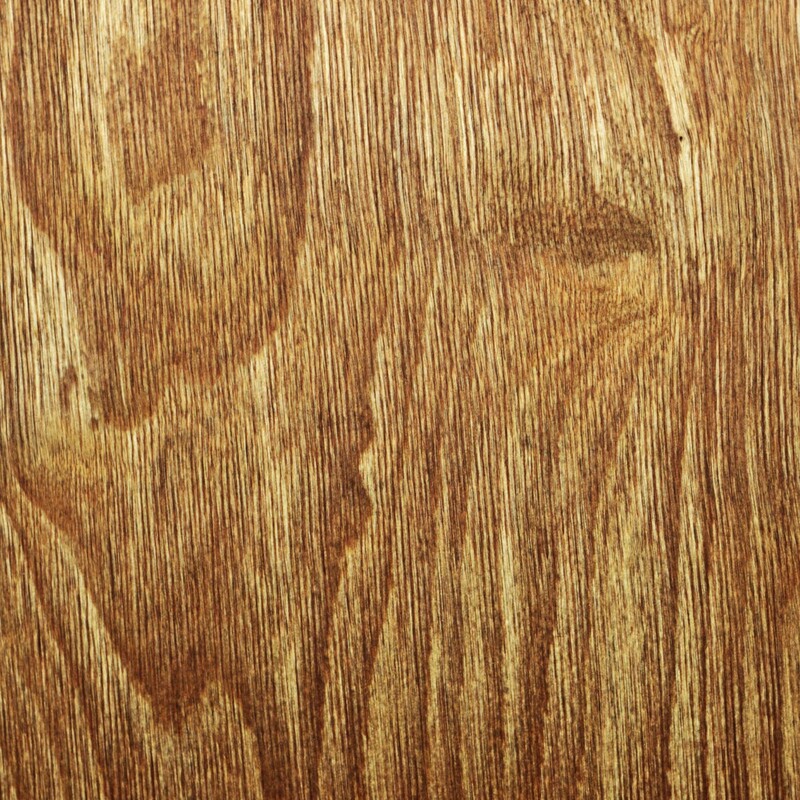 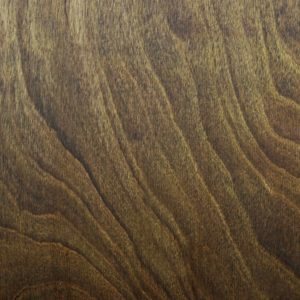 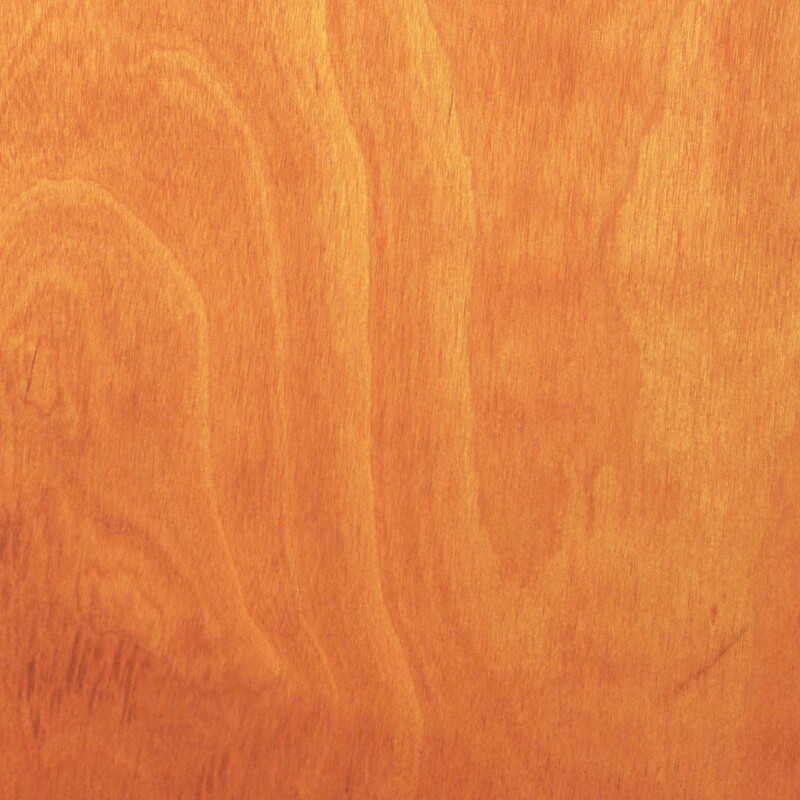 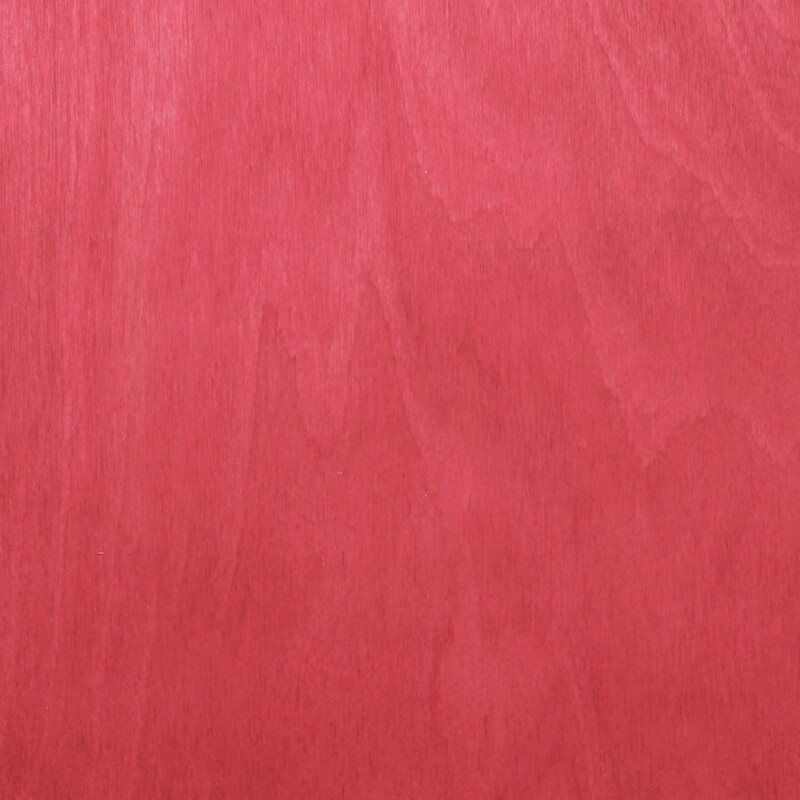 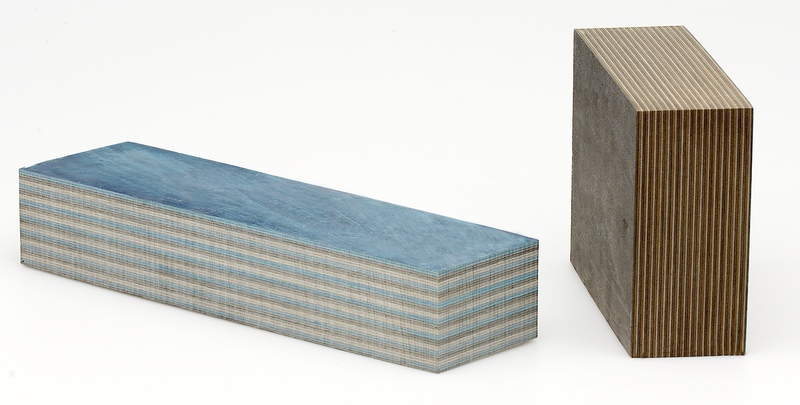 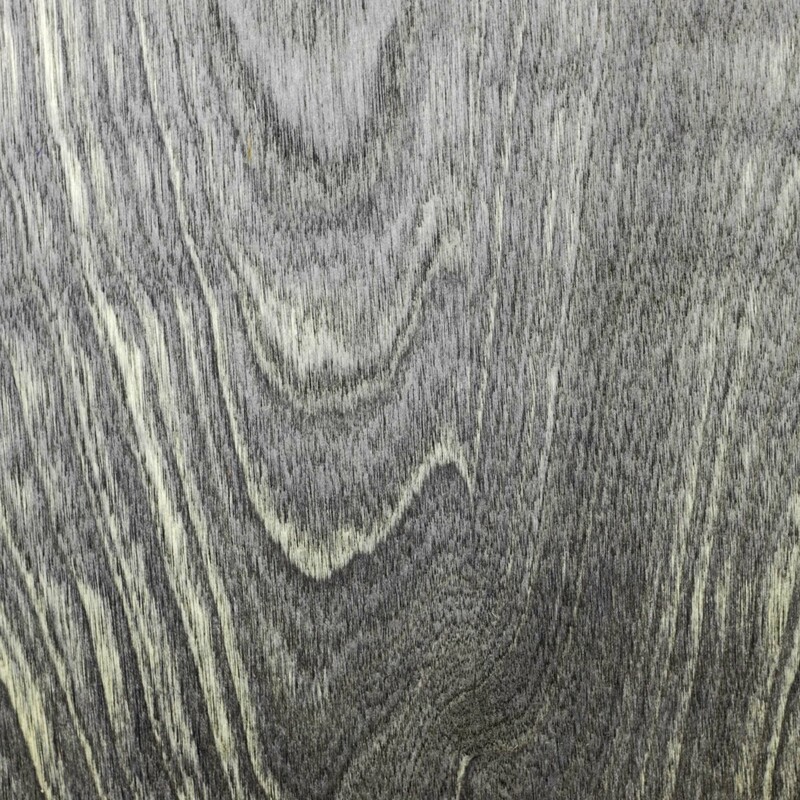 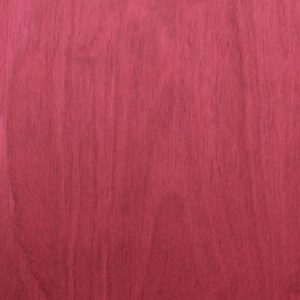 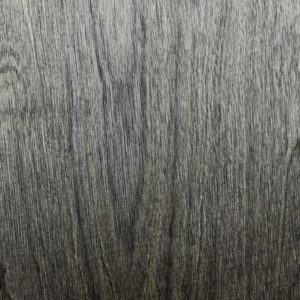 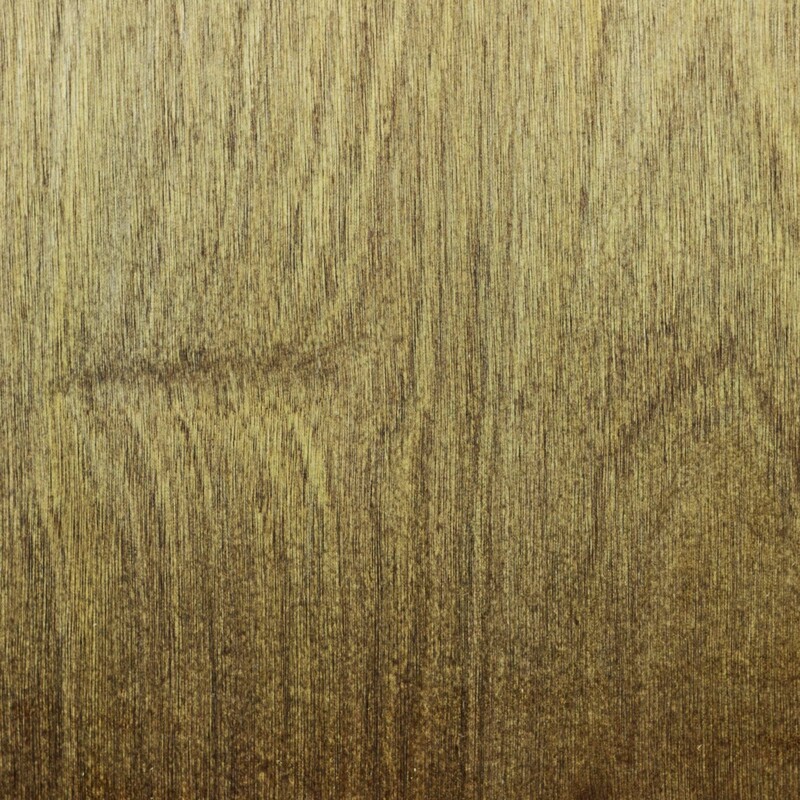 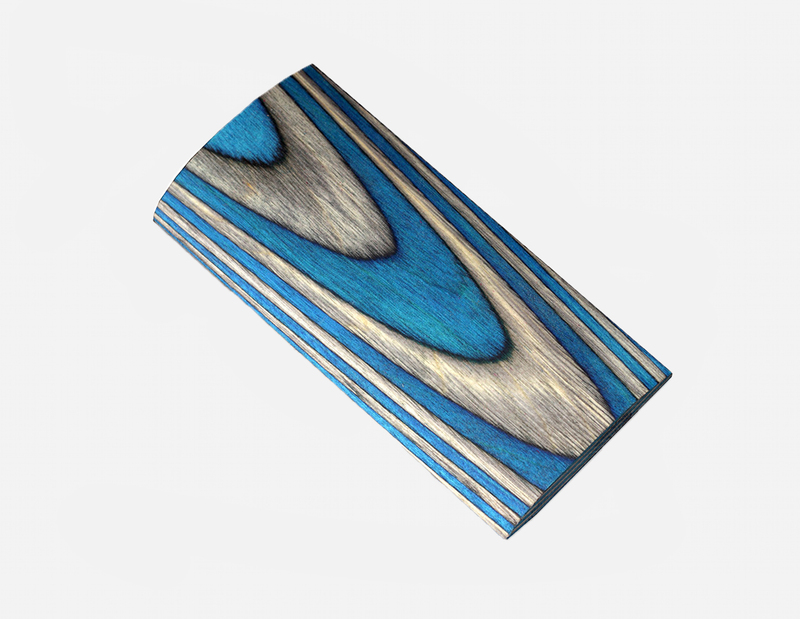 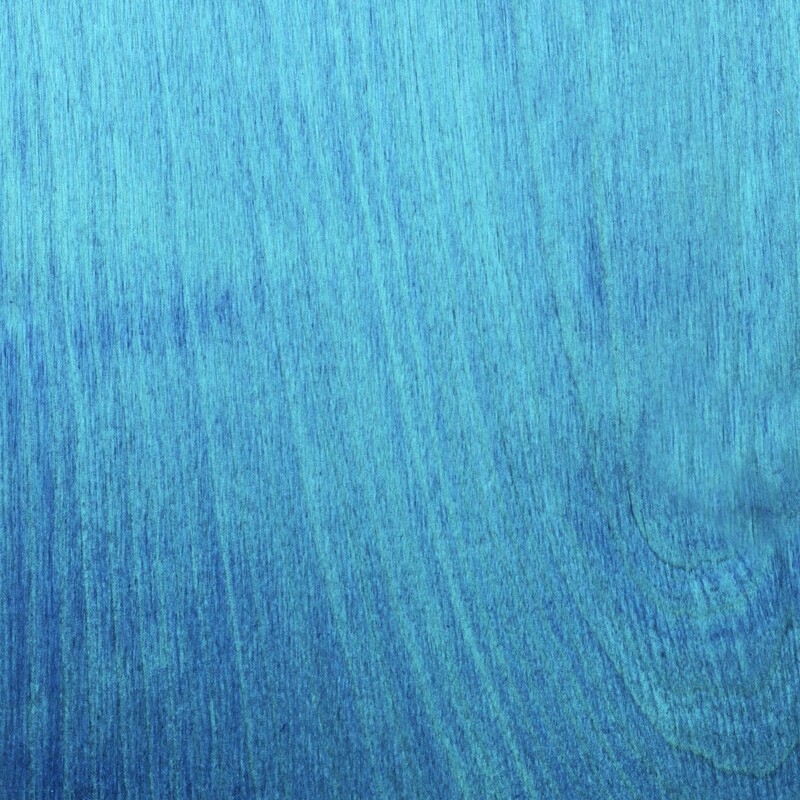 Dyed veneers make up the structure of the laminated blanks. 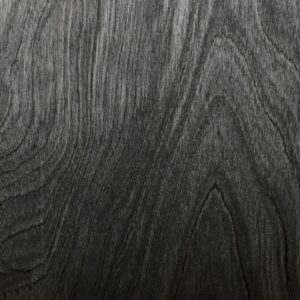 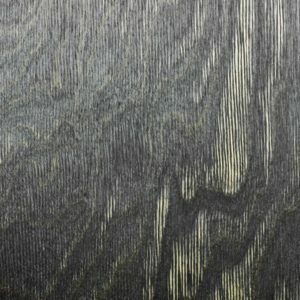 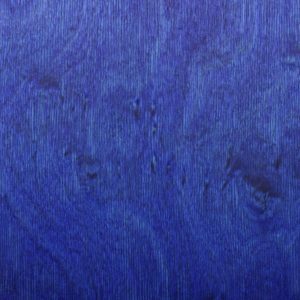 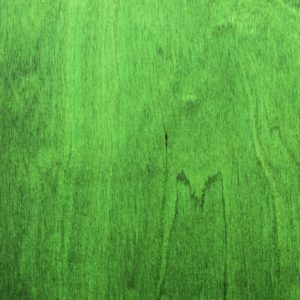 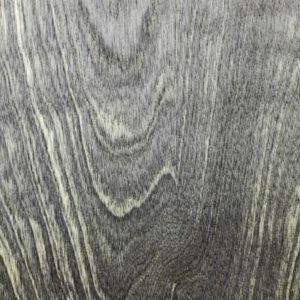 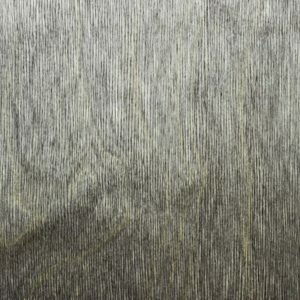 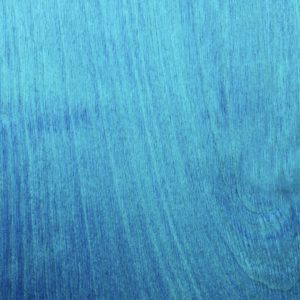 The dyed veneers can also be used in several other applications such as: effect elements in form-pressed parts, interior design panels and mouldings etc. 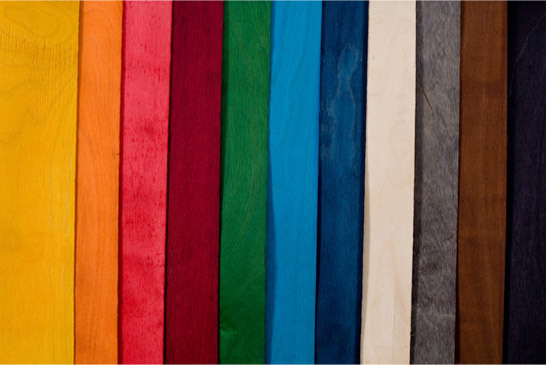 CWP colours combinations are available in Pure or Natural choices. 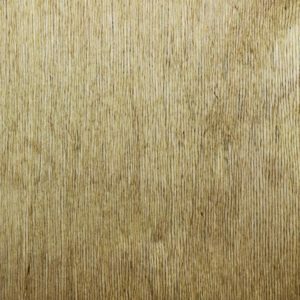 Pure colours are veneers made by dying very light coloured birch veneers, whereas Natural colours are made from a combination of light and dark birch veneers with brown heartwood.